Kaya is our resident mustang. She came to me as a foster horse several years ago and decided to stay. Many visitors to the “ranch” have had a deep experience of connection with her—a long and deep wordless talk in the moon light, a few moments of connecting with her beautiful dark eyes and more recently…DRUMMING! It turns out that Kaya loves being around drumming. 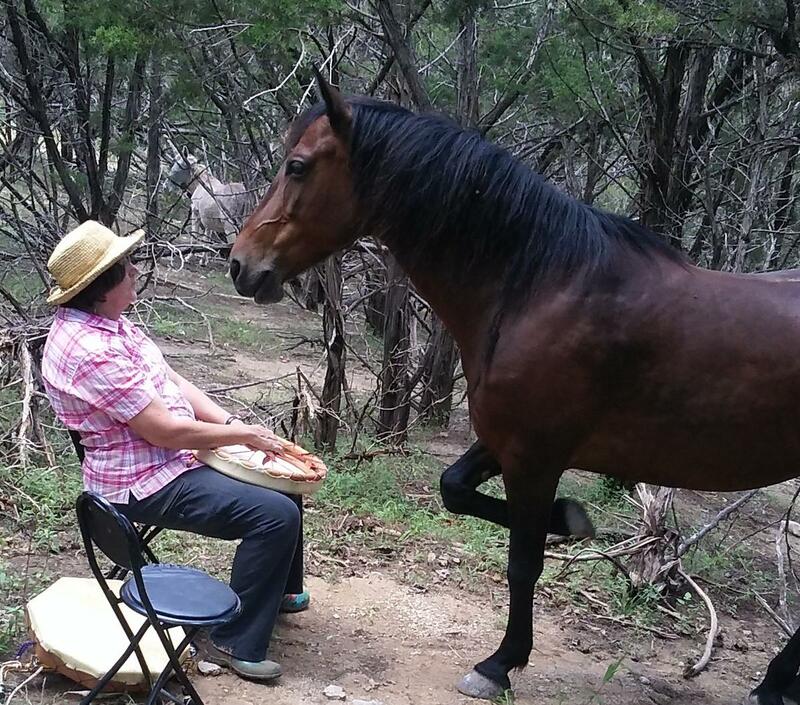 When I make time to share space with my herd and friends, we often bring drums and other musical instruments. The last time I brought my camera, so have captured some moments for you. My beautiful mare spent many minutes with her heart in line with my heart as I drummed in that intersection. She took turns connecting with my friend, Sarah, and was gracious enough to bless Sarah’s drums with long breaths and even a good lick. The meaning of “Kaya” is not marijuana, as some reggae fans may think; instead it refers to something or someone with whom you feel a strong love connection. Kaya spent several minutes with her muzzle on my forehead as I drummed.. I felt blessed with horse magic and breath. I have read that a horse’s skin is her most receptive organ and it feels like Kaya may enjoy the vibration of the drum on her great kinesthetic body and into her organs. 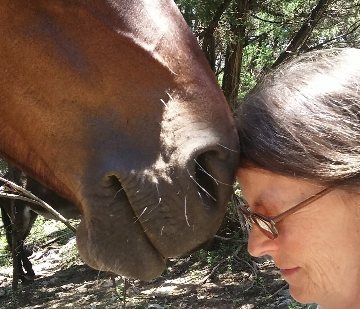 I am grateful for moments to share with the horses and donkeys in nature in perfect presence—and with human friends! Thank you for reading our first blog post! What special moments or activities do you share with your animals?